Using videos in presentations is a great way to keep the audience engaged while illustrating a point. Obviously YouTube is a fantastic source for free videos however it isn’t always possible to find the perfect video. Here are some other ways to use video in presentations, without needing to rely on external resources. YouTube capture is an app downloadable to IOS devices. It allows the user to simply film and upload videos to YouTube. There are some basic editing tools which allows the user to trim the video, but it still remains very user friendly and refrains from overwhelming the user. This is brilliant for a module leader to communicate a message to all students on a module, without needing to attend all lectures and seminars. Videos uploaded to YouTube can easily be embedded in a Blackboard site. Click here for guidance. 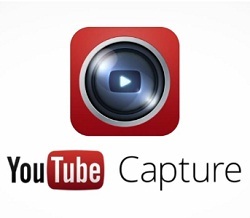 For SBS staff, the YouTube Capture app is installed on all our IOS devices to borrow. Click here for more information about equipment to loan. Watch the video below for more guidance on how to use YouTube capture. This video was created by Maker Gen.
Screencast-o-matic records the computer screen alongside audio and webcam (if necessary) so the speaker can discuss what they see on screen. This is a really easy way to record presentations, as the lecturer can record the PowerPoint presentation slides as already prepared for the lecture. It is ideal if you need to demonstrate a technical aspect of a software package. This tool is free to all users, but limited to the amount you can record and the tools available, 15 minutes for the free version. SHU has an account with screencast-o-matic and is available for all staff to use. We have a URL with a capacity of 1000 unique devices connecting per month. The licensing ‘sticks’ to and counts against our entitlement for a month for each unique device it is used from (no matter how much or how little it is used). For details on how to login using the SHU account, contact the TEL team. You can record your video in one go however we advise pausing the recording between each slide and recording each slide in one take. It is useful to rehearse your narrative before recording. Your video can be exported as an mp4 which can be uploaded to Blackboard or streamed in from a video service such as YouTube. To use the free version, click here. Please note the free version of screencast-o-matic will only allow recordings up to 15 minutes. Guidance for login to the Pro version. There is no limit on recording time and you can edit your recording. 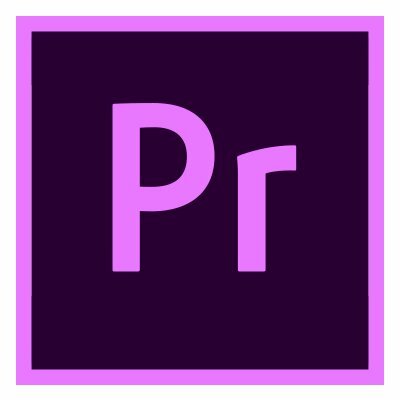 Adobe Premiere is a much more sophisticated tool to edit video. Similar to Adobe Spark, PowerPoint slides can be exported as images and uploaded to Premiere to create the video. The audio will need to be recorded using an audio recorder or smart phone and uploaded into Premiere. This creates a smoother video presentation and can be embedded into a Blackboard site from YouTube. Click here to find out how to embed YouTube videos into Blackboard. There is a steeper learning curve to produce videos using Premiere, however it is much easier to edit your content once you have been accustomed with the workflow. The advantage is that you can record your narrative on an audio recorder anywhere. If you find it easier to walk around whilst talking this is your best option. You can then make your slides to fit the length of the narrative. For training on how to use Adobe Premiere, contact the TEL team. Blackboard Collaborate is a way to deliver an online lecture or presentation. The students log on and can listen live, or you can record the lecture for students to watch at leisure. This can be set up via the module Blackboard site to make it easy for students to access. Skype is a free tool used to communicate online via live video or audio. It is similar to Blackboard Collaborate however it cannot record sessions or be linked to Blackboard. If the presenter is in a different location to the audience, Skype can be a solution. Skype can be accessed via the AppHub.